Both the exhibitions are being supported by associations such as the All India Glass Manufacturers Federation (AIGMF), Confederation of Construction Products and Services (CCPS), Builders Association of India (BAI), The Madras Glass & Plywood Merchants Association, Chhattisgarh Glass Association, Ludhiana Glass Dealers Association and the Noida Glass Traders Welfare Association. to be held on 11th October 2019, which will felicitate some of the eminent personalities from the glass industry towards their outstanding contributions. 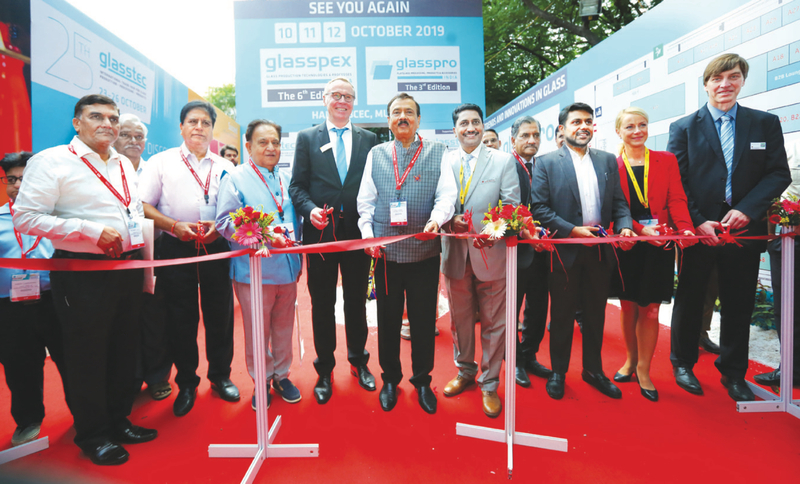 Concurrently with glasspro India, the 6th edition of the biennial event, glasspex India - International Exhibition for Glass - Production, Processing, Products is also being organized. Messe Düsseldorf India, a part of Messe Düsseldorf GmbH is amongst the leading global players in the trade fair and events industry and is dedicated to closely work with both Indian as well as international partners and further be a catalyst for the development of industry in India.